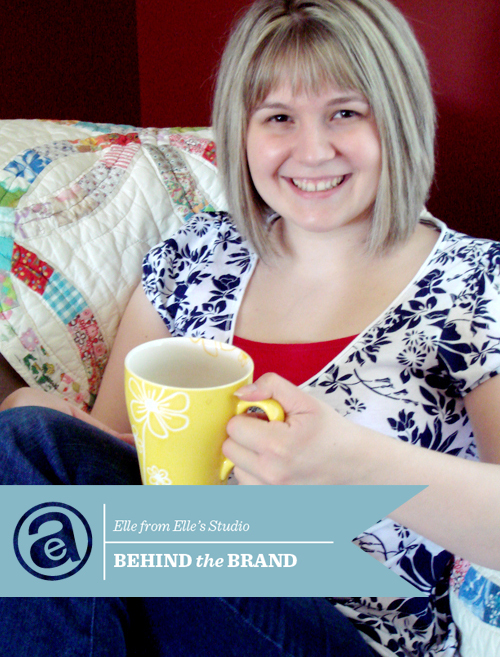 Today as part of the Behind The Brand series I would like to introduce you to Elle from Elle's Studio. 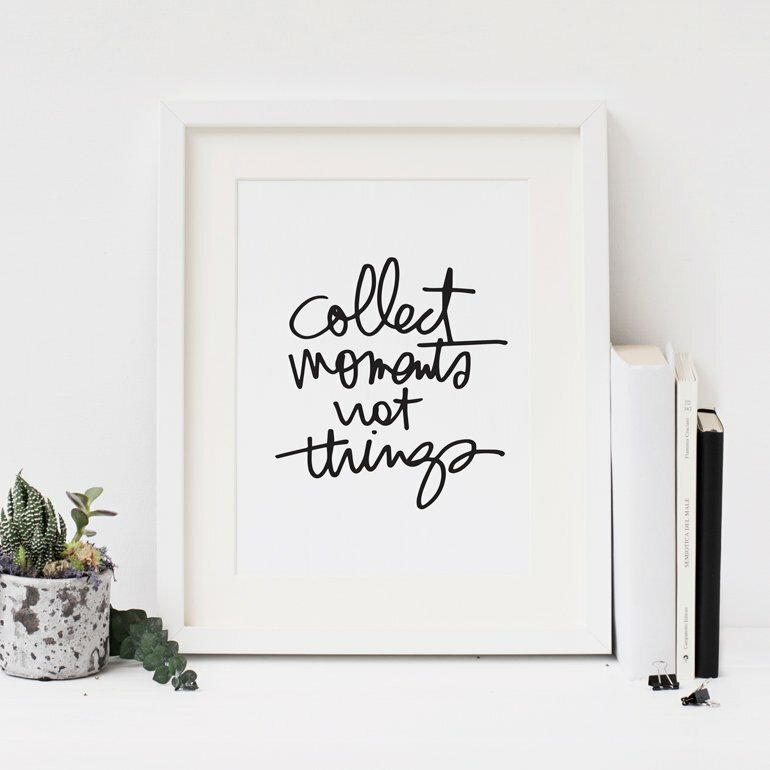 I started Elle’s Studio in 2007 when there wasn’t a ton of journaling tags available for sale. I ended up making a couple sets for me and then after a ton of encouragement from family and friends, I opened an Etsy shop, and then a couple of years later we moved to our own website. 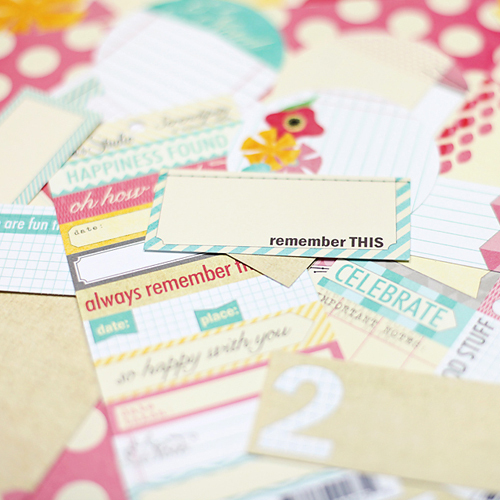 We still focus on journaling tags, but we also make coordinating 12 x 12 papers, and stamps! I love to see an idea go from start to finish. It’s so fun when you have an idea hit you out of nowhere – it’s like a spark! And, then to finally hold that item in your hands after you’ve worked on it for months is the best feeling! We are located in a smaller town, north of Seattle, WA. My favorite thing about this city is the people in it – my entire family lives either in the same city or very, very close. Lately, I’ve been finding myself really inspired by fashion! Which surprises me because I’m pretty simple when it comes to clothing. But, I’ve been loving watching the patterns and colors with each new season. A Silhouette Cameo, a DIY coffee table I’ve been dying to make, and a container garden on my deck. We are really excited to be doing 12 x 12 papers that coordinate with all our tags! It completes each collection and really pulls everything together. We also have a new line of products called Serendipity. 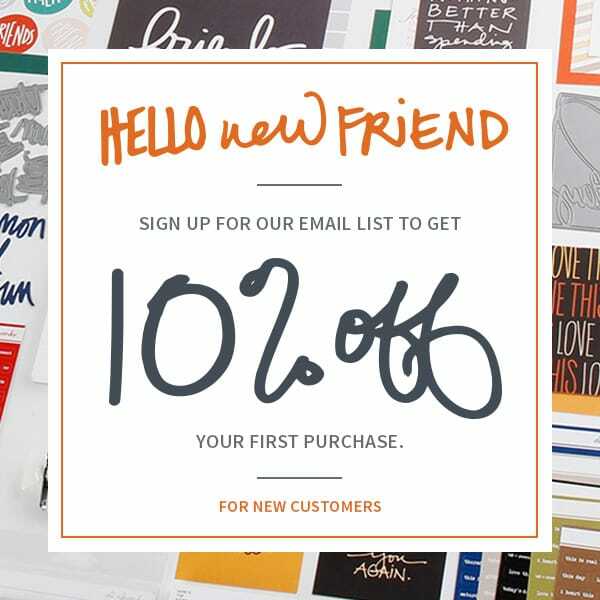 You can visit the Elle’s Studio website to see everything that is new, inspiration from their Design Team, and they even have a spot for members to upload projects of their own! You can also check out their blog, where they have several weekly and bi-weekly series, facebook, twitter and instagram. LOVE your stuff Elle's Studio...so nice to see a face behind ALL the awesome products!!! Love, love, l.o.v.e. your products and just got the new line in my hands :) Thanks for sharing your behind the scene! Awesome products, thank you Elle! Love using your little labels and tags! Looking forward to more awesomeness. I love working with Elle! Thanks so much for sharing my page!